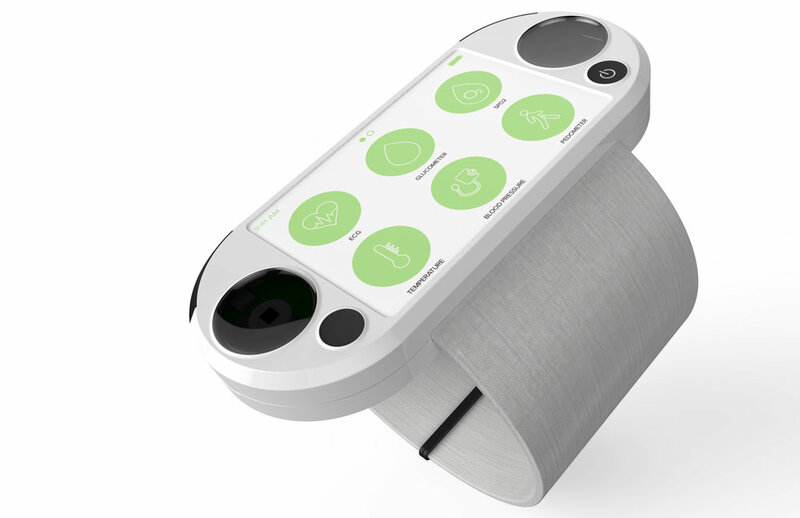 The purpose of this project was to create a device that could remotely monitor patients with a number of health conditions. There will be an emphasis on ECG recording, pulse oximetry, systolic BP monitoring, temperature recording, as well as glucose monitoring. This product is universal, intuitive, smooth, comforting and comfortable to use. 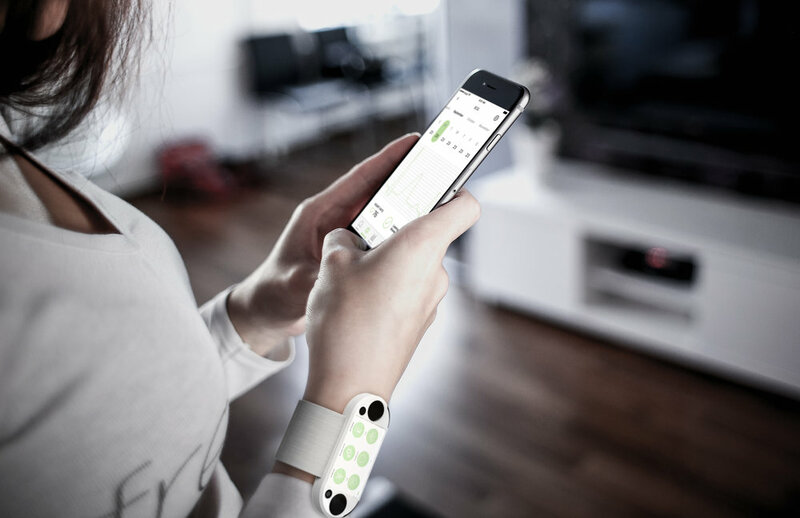 It will be seen as a positive life choice by the medical professional community and it will ultimately provide a smooth transition to the medical IoT world. 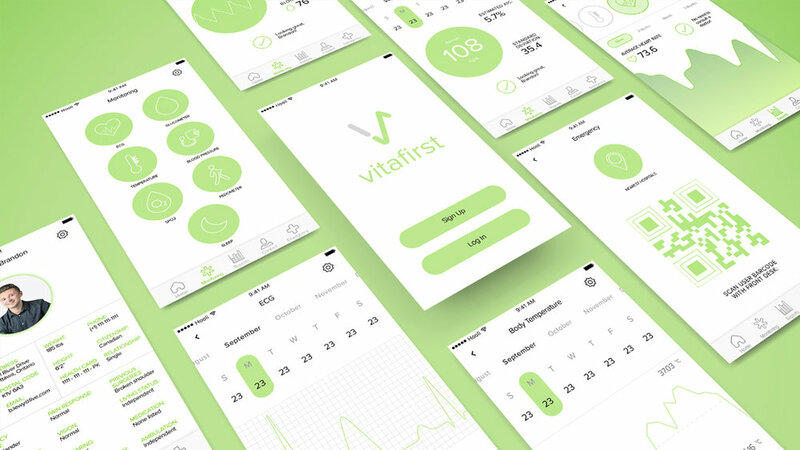 This product has an integrated UI element that can record all necessary statistics and will be able to fast check-in to hospitals in cases of emergency. 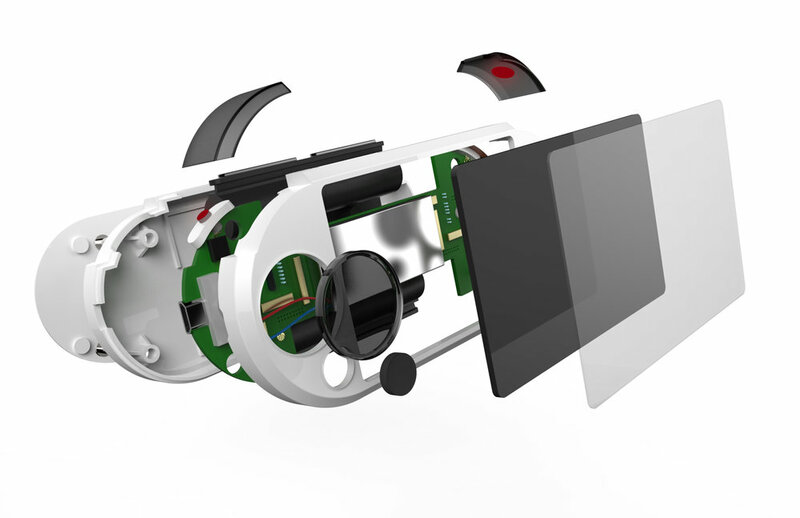 The transparent polycarbonate platforms are where the ECG sensors are located. 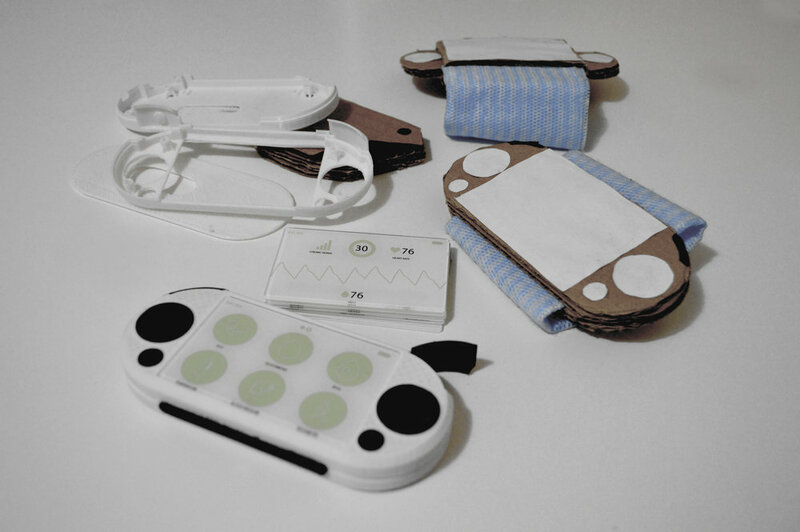 BMD101 Cardiochips are used to capture ECG data from the users fingertips. 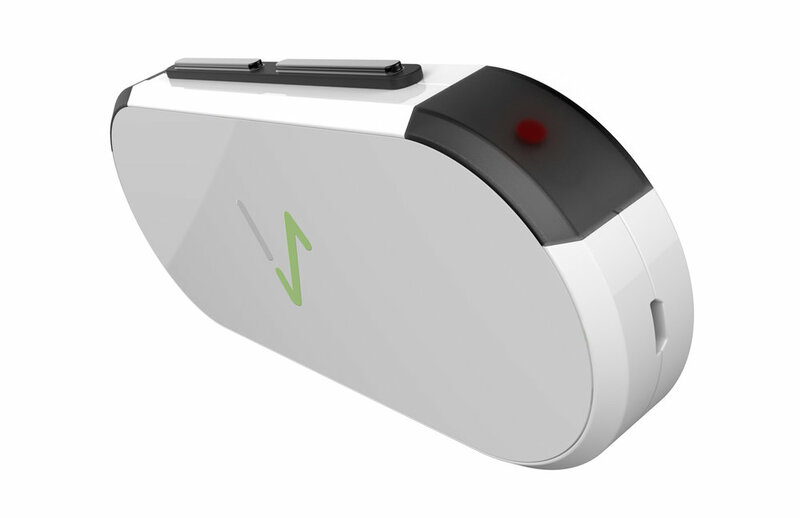 These sensors can capture ECG data within 30 seconds to maximize scanning efficiency for the user. The corner of this device has a frosted polycarbonate detail. In this area, there is a temperature sensor which measures infrared energy radiated from the skin at the centre of the forehead. On the opposite corner of the thermometer, there is another frosted polycarbonate component. This component has a small hinge to create a lid-like element to measure blood saturation (SPO2). One can lift up this lid and place their index finger on the photodetector. Once the finger is placed on the photodetector, an infrared light is shined through the finger to retrieve blood saturation readings. The glucometer is located on the opposing side of the charging port. There is a specific slotted area to allow users to insert glucose test strips in order to recieve feedback on their blood sugar statistics. 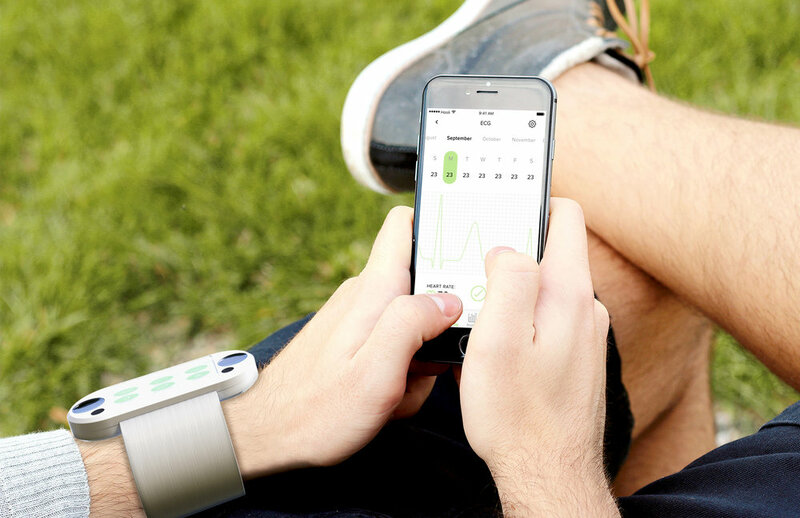 This device has a retractable band if the user wants to wear it. It is made out of 2mm polyester yarn, and the attaching mechanism is a polycarbonate plastic piece that has magnetized slot shapes to clip into the otherside. The overall spool is placed in a polycarbonate casing so that no dust particles would effect the inside circuitry.